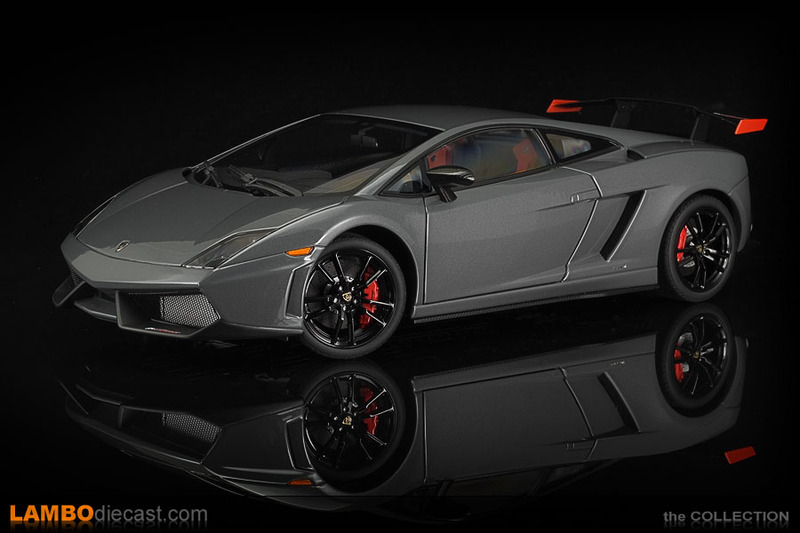 When AUTOart released their 1/18 model of the stunning Lamborghini Gallardo LP570-4 Super Trofeo Stradale I immediately bought both the Rosso Mars and the Bianco Monocerus ones, because the red one was the IAA show car and press car, and I just love the looks of the white one ... but AUTOart released three shades ... the exact three shades this car was available in ... Grigio Telesto was missing from my collection. 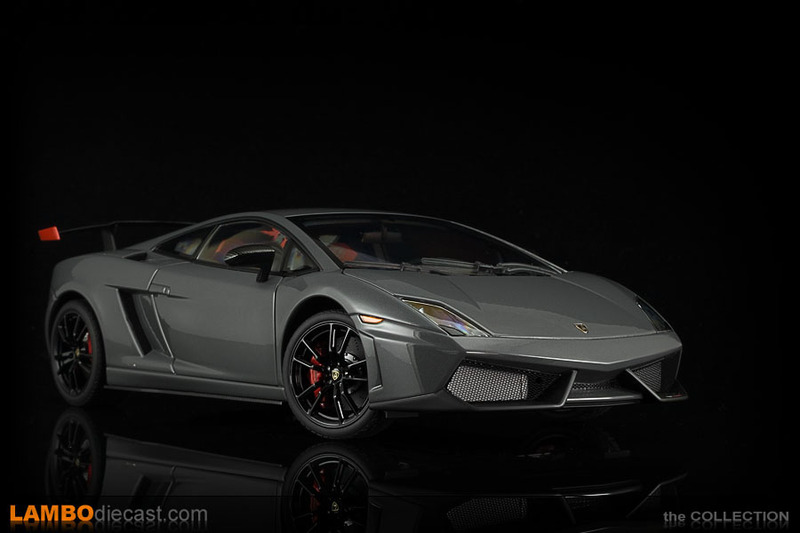 So when one of the online shops I regularly order from had a massive discount on several AUTOart models, I just couldn't resist completing my collection of the Gallardo STS, so I added the grey one for a ridiculously low price ... so now I do own all three shades ever made on the Super Trofeo Stradale edition. 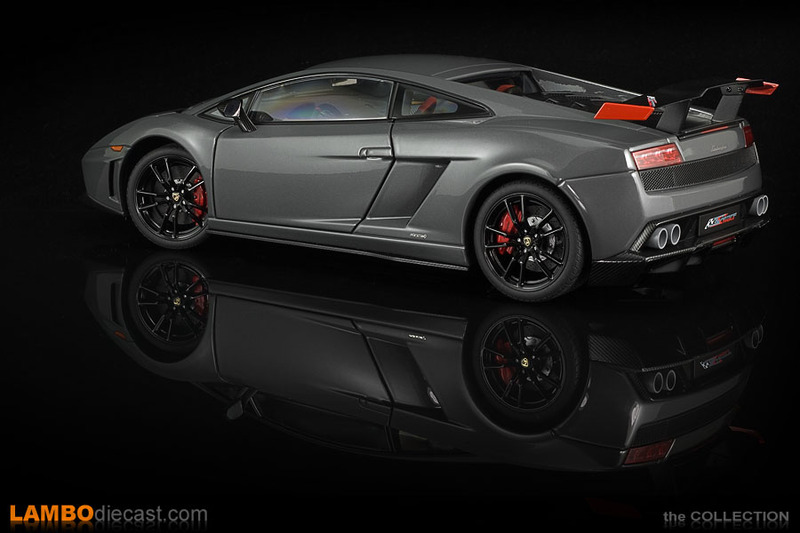 Back in 2011 the Lamborghini Gallardo LP570-4 Super Trofeo Stradale was the top of the line in the V10 series, the Gallardo LP570-4 Superleggera was already a very impressive car, but this STS took the crown with her track inspired looks ... in fact the Super Trofeo Stradale, as the name suggests, is a street legal version of the Super Trofeo race car, with the quick release engine cover and massive rear wing a testament to this one-make racing series. 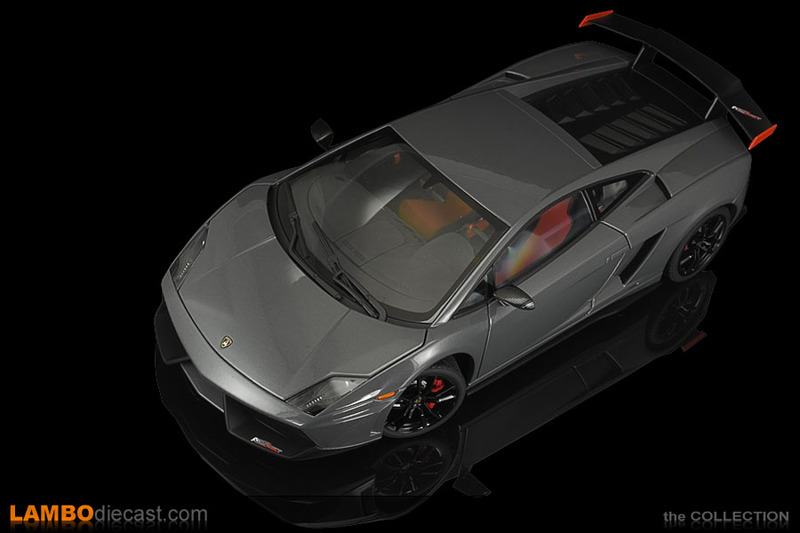 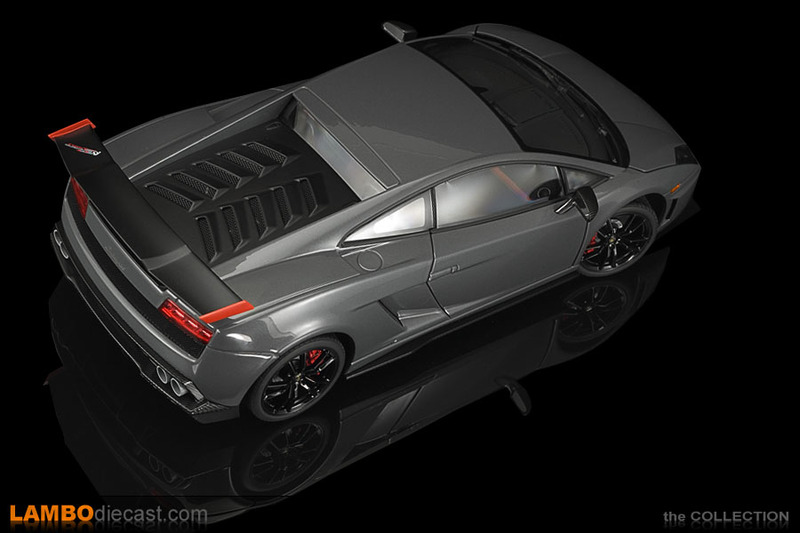 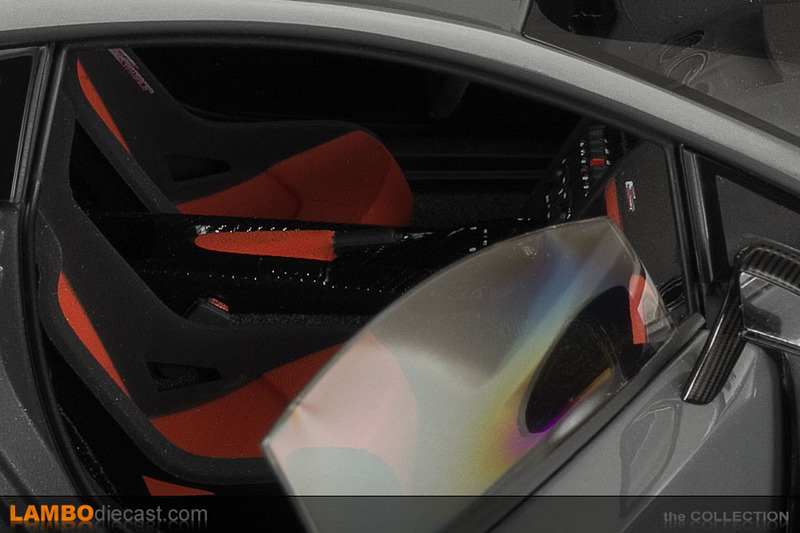 As a base Lamborghini used the Gallardo Superleggera, add the carbon fiber engine cover and rear wing, and you get the Super Trofeo Stradale limited edition model, only 150 would be made, all numbered on a plaque behind the driver, and only available in either Rosso Mars, Bianco Monocerus or Grigio Telesto, one of only a few options was a glossy black roof. 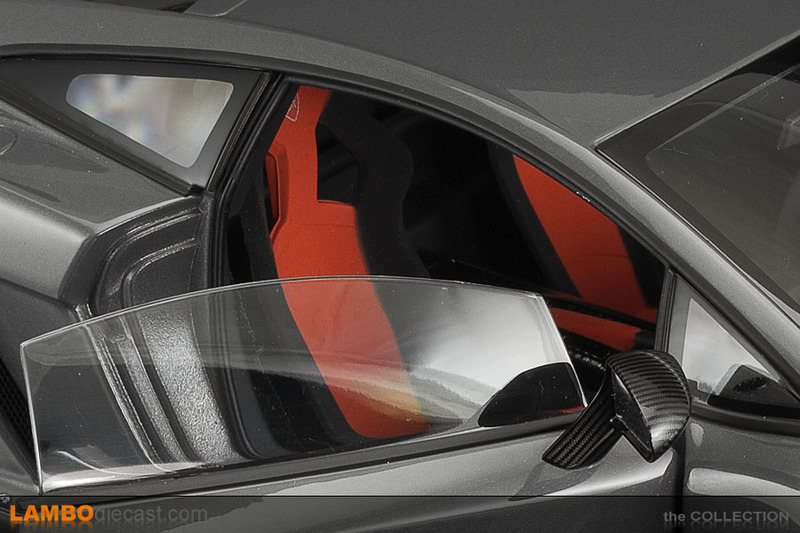 All three shades came with glossy black wheels over red brake calipers, the vertical fins on the black rear wing were always red too, while the Alcantara interior came with sport seats finished in a combination of black and red, the lower section of the dashboard was red too while the pull straps on the carbon fiber door panels share this shade ... a final touch of red was the parking brake cover and red stitching throughout. 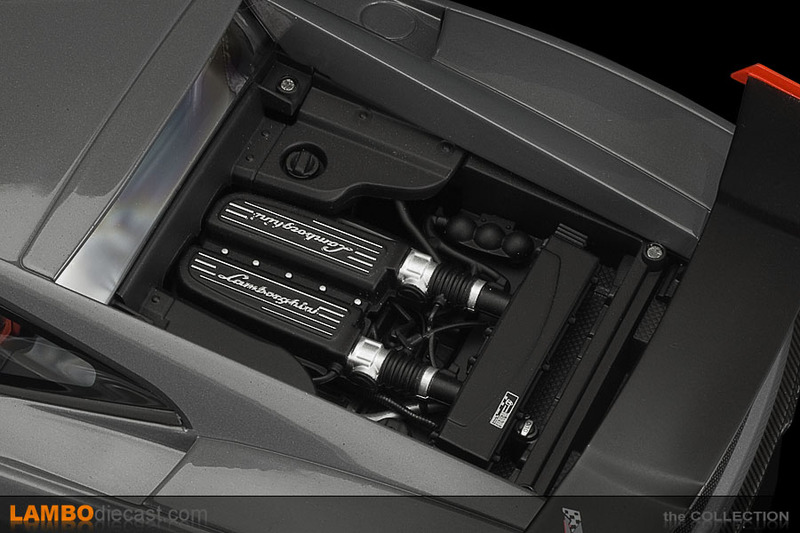 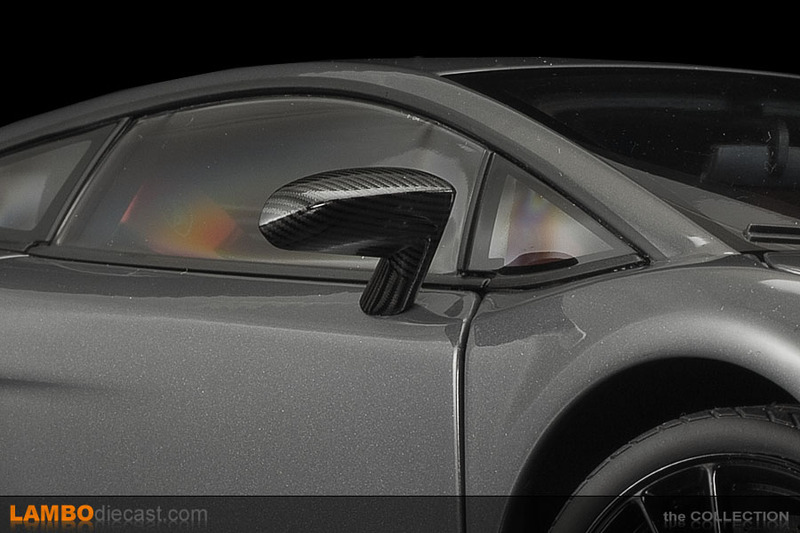 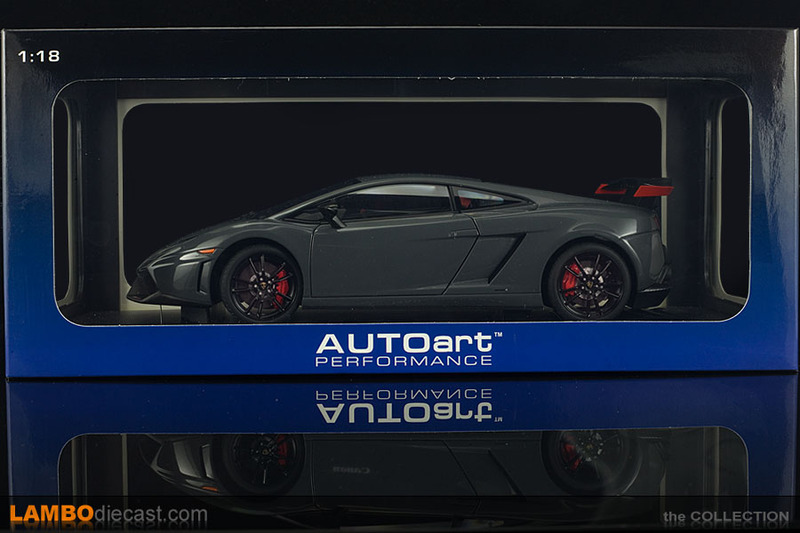 My opinion on the AUTOart 1/18 Gallardo Super Trofeo Stradale has already been written down in my review of their Rosso Mars version, AUTOart really made a near perfect model of the V10 STS, the front intakes are correct, the side sills are present, the lower rear diffuser in clear carbon fiber is simply stunning. 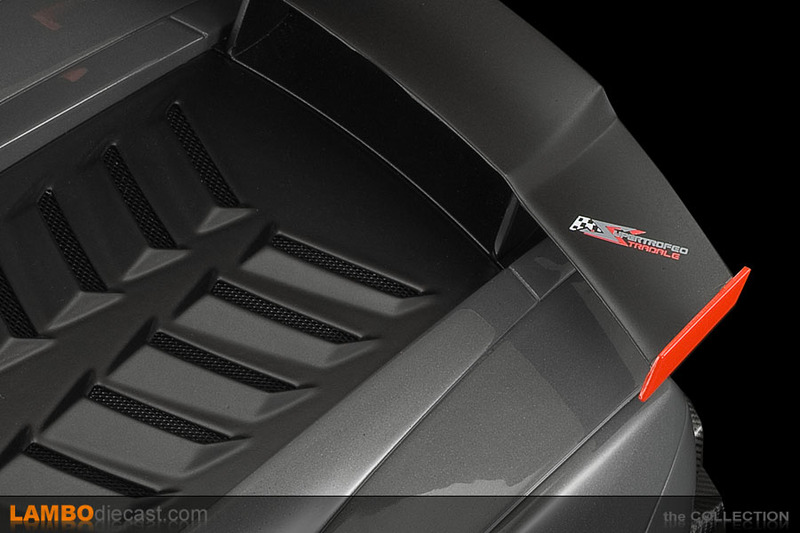 And even the exhaust tips are finished in satin black, just like on the real car. 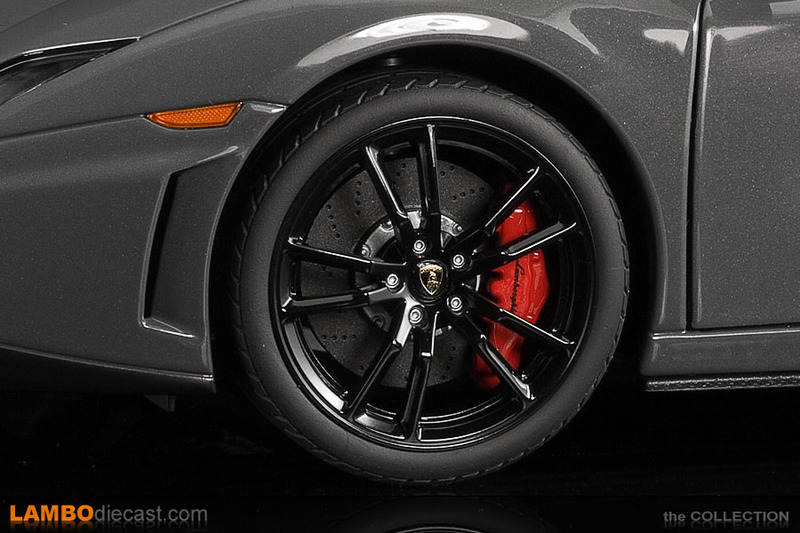 The red brake calipers show the Lamborghini script with pride, while at the rear we'll find the third brake light under the rear wing and the center red light at the bottom of the diffuser ... take care with the engine cover as AUTOart has fitted it with small magnets, should you take out the model and tilt it, the cover might fall to the ground. 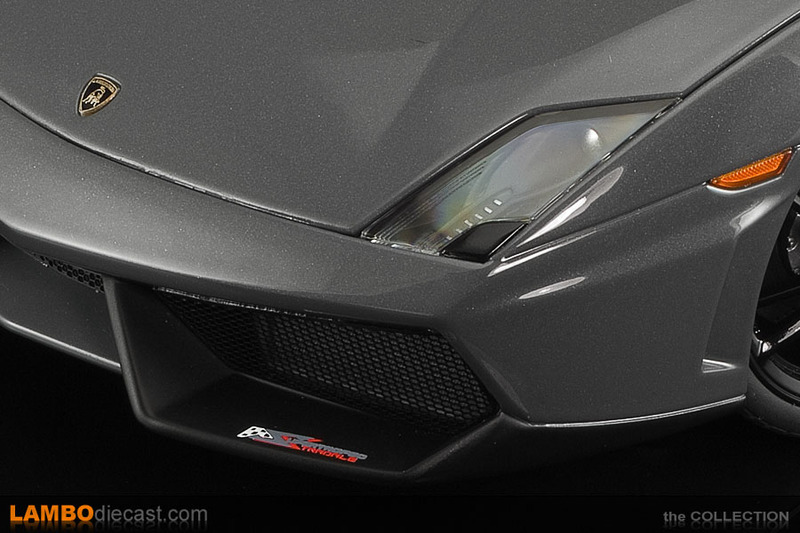 What I really like about AUTOart is the fact they made small differences between their Gallardo STS models ... at first glance you'll notice the Rosso Mars version is the only one with the optional glossy black roof, this Grigio Telesto one doesn't have this option, but if you look really close you will also notice orange turn signal lenses on the side of the front bumper ... the Rosso Mars one is the only one with clear lenses here, both on the Grigio Telesto and on the Bianco Monocerus ones AUTOart fitted orange lenses ... a very nice detail. 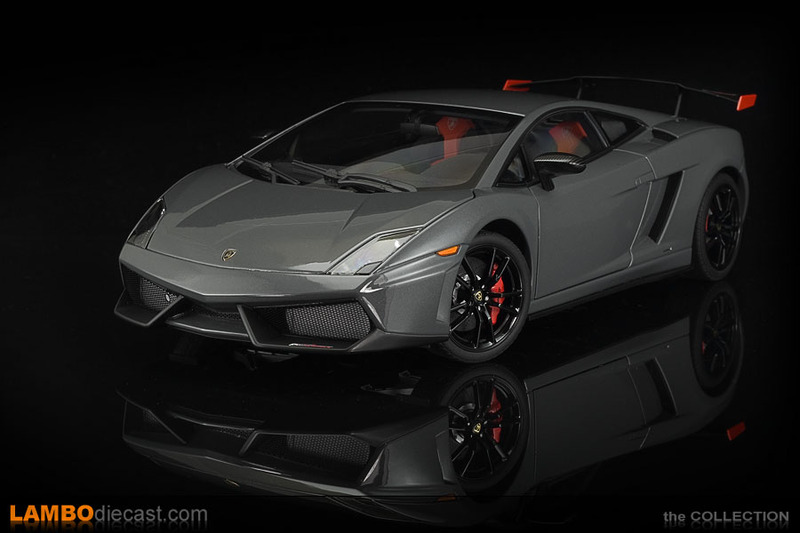 I think this Grigio Telesto shade is a very nice finish on the Gallardo Super Trofeo Stradale, it isn't as loud as the Rosso Mars shade, but this shade of grey has a very understated look on any Gallardo, and combined with the black wheels and black sections on the body she has a very special atmosphere about her, add the touches of red and you really get something special to show in your collection. 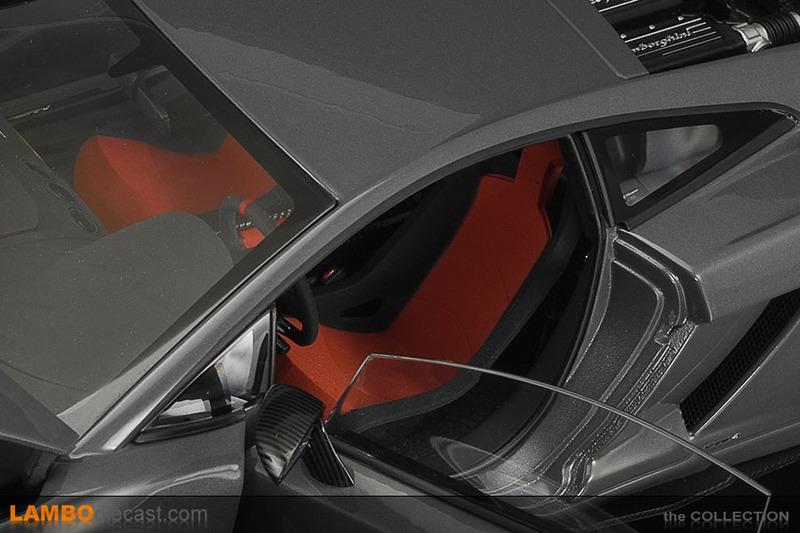 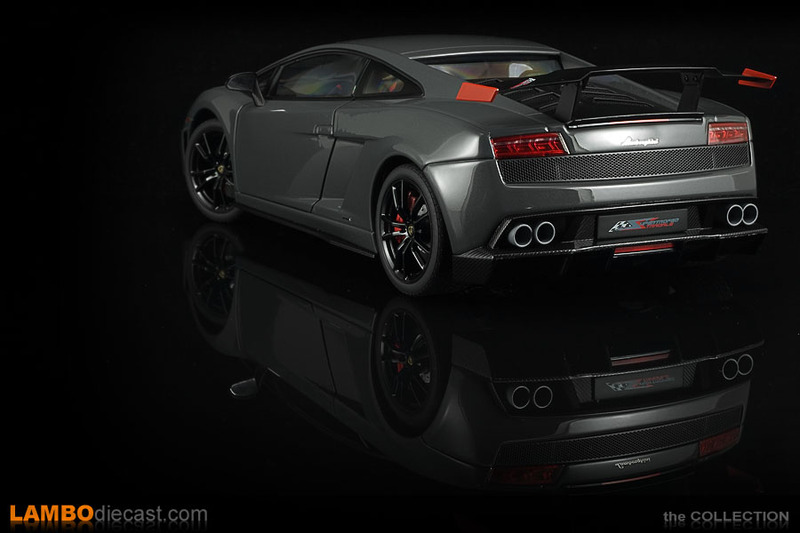 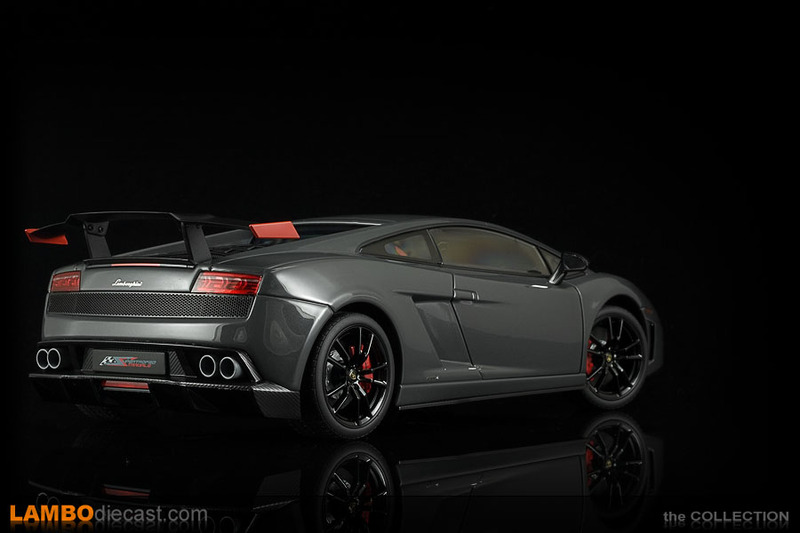 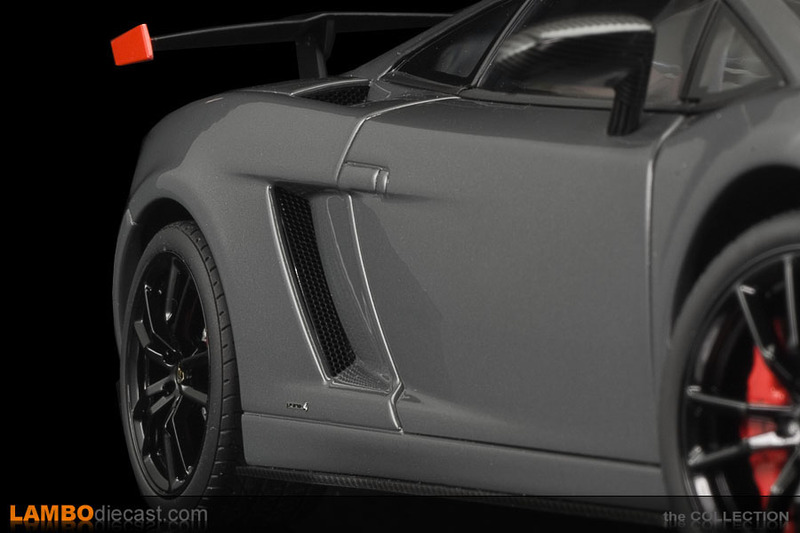 So should you get this shade on the Gallardo Super Trofeo Stradale? 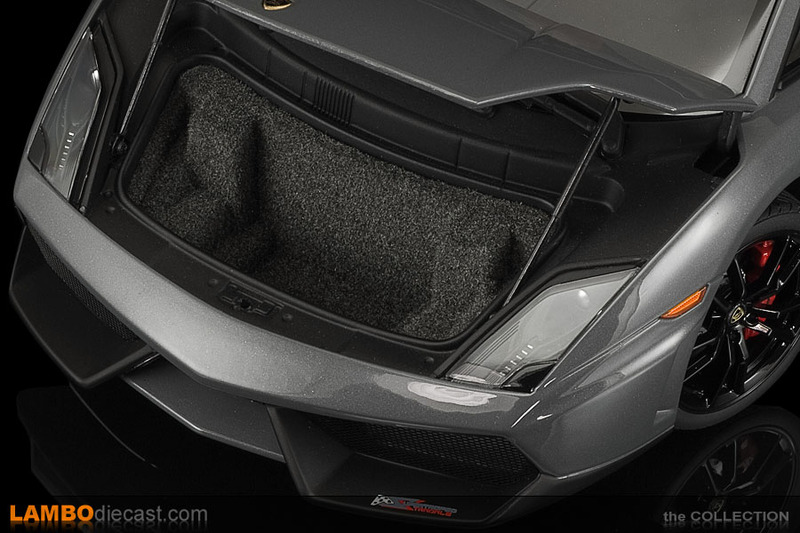 It all depends on your collection ... 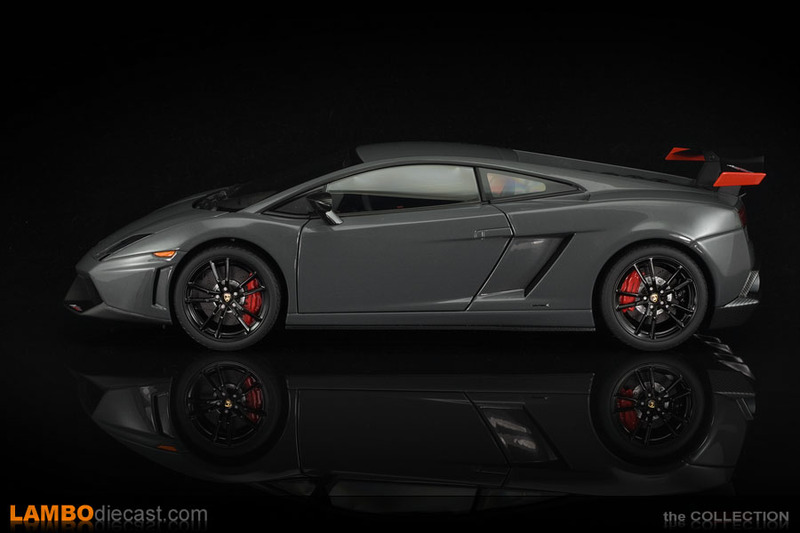 I think an STS deserved a spot in any sports car collection, but for me personally I would get the Rosso Mars shade, this Grigio Telesto is just a little too understated for this type of car ... but that is my personal opinion ... and for me that is easy to say as I now own all three shades, so I don't have to chose only one.